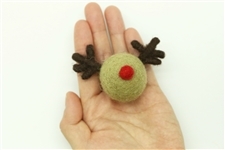 Rudolph has never been cuter or more "stringable." 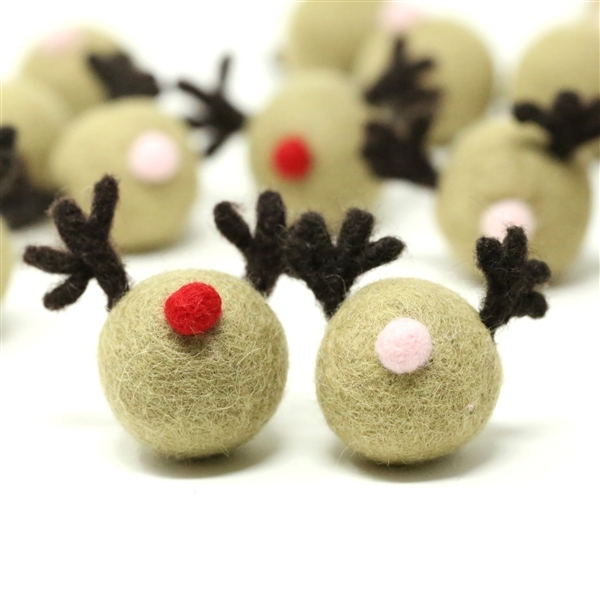 This beautiful felted shape makes the cutest Christmas garland or Holiday felt necklace. 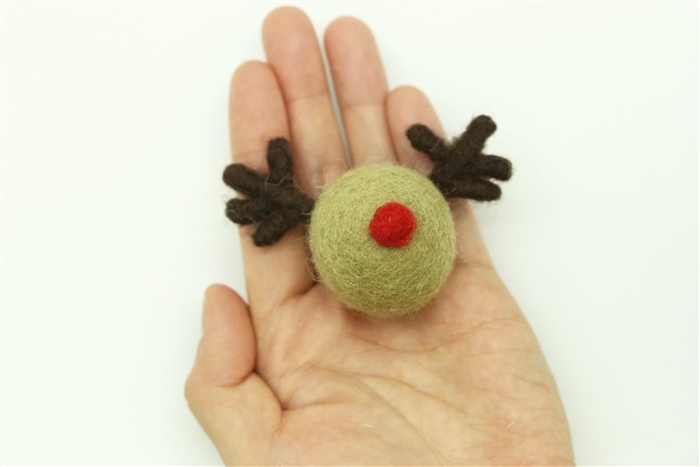 This felted reindeer is carefully constructed from its cute red nose to the hand needle felted antlers. 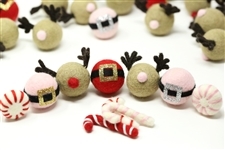 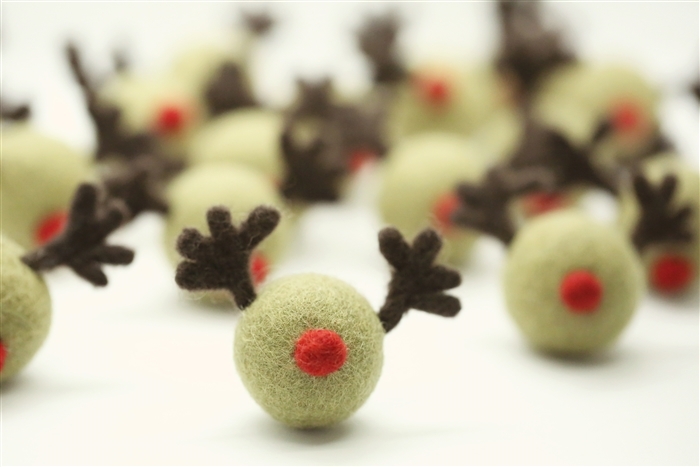 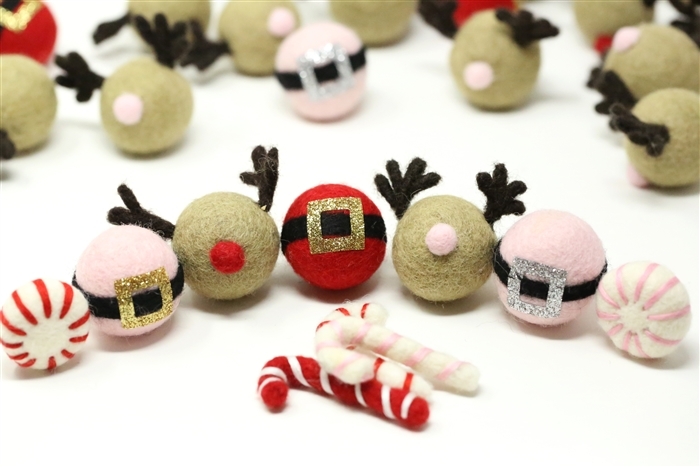 Felt Rudolph is a custom design of The Felt Pod. 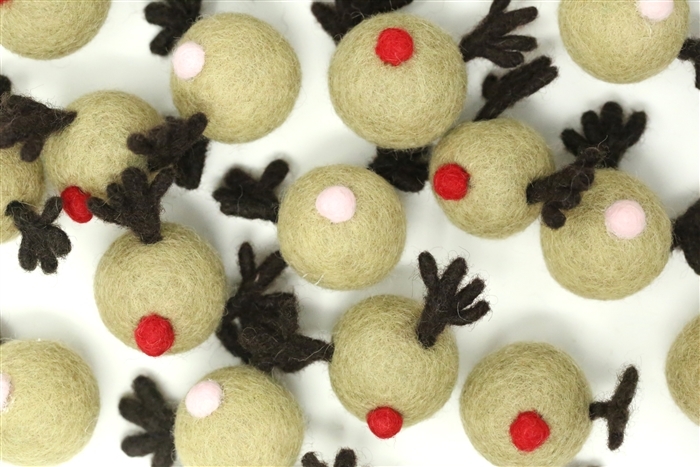 Please do not copy. No two felted reindeer will be exactly the same given the handmade nature of this product. Garland Stringing TIP: When making a garland, string Rudolph right under the antler (about 25% down from the top) so that it will remain facing forward when the garland is hung. 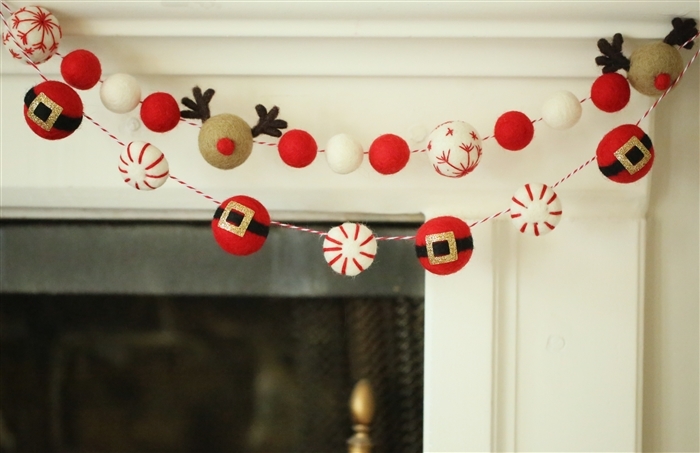 Avoid stringing right in the center to redistribute the weight.